Visit this site, click courses, Create your Free Digital Chalk Login (write down your password) and then you will be able to choose among the following. Overloaded with information & demands? Need to keep pace with change while growing your business? Join the on-line version of our Brain-Based Business seminar and support your mind with Free software for lower stress memory & productivity plus increased creativity. With simple download, you can start using your system to map out your ideas and projects within 10 minutes. In less than 3 hours, begin using intuitive visual information mapping software to lighten the load on your memory while making it easier to refocus attention, learn, capture ideas & information, organize, and manage projects. This two week course shows you how to use neuroscience plus free software to extend your mind, free up time, and lower stress. Gain immediate benefits to personal information management, clarifying ideas, and fast ways to refocus attention. Gain long-term benefits from your electronically extended memory and detailed project or personal plans. 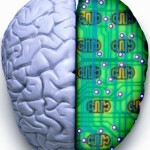 This brain based learning is suited to anyone who wants an edge and can use a keyboard and mouse. Lifetime support (any question, any time) from the author of this course, research neuroscientist, professor, and small business owner Dr. Paul Greenberg. Requirements: Books, Maps, & Supplements Free. Software Free. Lifetime support website Free. 20 min phone consult Free. Spouse/Partner access Free. GECO Inc. All rights reserved. Overloaded with school, life, and job demands? Need to make it easier to get more from your education and develop your career plans while managing your personal life? Join the on-line version of our Brain-Based Learning seminar and support your mind with Free software for lower stress memory & productivity plus increased creativity. Hundreds of my students are already using this, and whenever I show it in a class, people want to get their hands on the software. In less than 3 hours for the whole day 1 training, begin using intuitive visual information mapping software to lighten the load on your memory while making it easier to refocus attention, learn, capture ideas & information, organize, and manage projects. Having taken the gateway courses, it is time to start examining new material so that you can get new ideas. The innovation principles and methods being collected below are meant to prompt your mind and help you find ways to both evaluate what you already encounter and help you generate new ideas. Once you start doing this you’ll be glad you have the information mapping tools from the Gateway classes. That is the point – you are preparing yourself to handle some compelling situations and exploration. Enjoy the links here.